Apple’s still the king in digital music and raking in the moolah for PCs, but one trader loses big on the company. 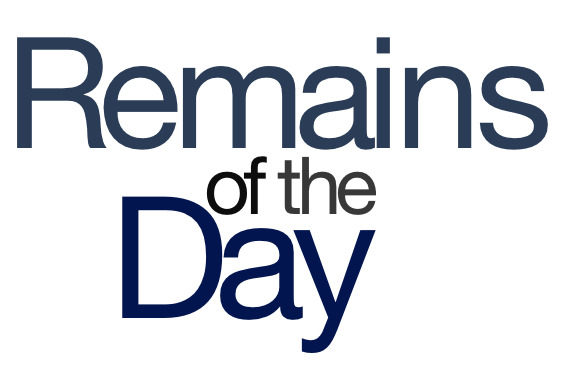 The remainders for Tuesday, April 16, 2013 are fit for a king. That’s right, nearly ten years after the iTunes Store debuted, it’s still on top of the world, ma. Apple continues to hold the majority of the paid music download market, with 63 percent; Amazon follows with 22 percent. In additional news, NPD reports that 38 percent of surveyed consumers think it’s still important to own music, while 30 percent of Americans believe that listening to albums are important and 27 percent wonder if you’ve ever really listened to Dark Side of the Moon, I mean, like, really. Speaking of facts and figures, number-cruncher extraordinaire Horace Dediu reports that Apple is taking the lion’s share of the profit in the PC market: 45 percent. Dediu points out that while PC manufacturers used to make up for their low profits by selling a high volume, that’s not happening any more. But really, what good is this information to me if I don’t have a time machine to go back and rub it in the face of my PC-using high school friends? Crime does not pay, it seems—especially when it involves buying a ton of Apple stock at a loss. Securities trader David Miller had a scheme to take home a bundle of profits, but unfortunately, things did not quite go as planned. Miller was reportedly heard to exclaim that this never would have happened if Steve Jobs were still alive. Apparently Apple engineers got up to some crazy things back in the 1980s, including skinny-dipping and lighting bonfires at a Carmel, CA resort. Fortunately, that’s all in the past now, says La Playa Carmel, which has lifted a 30-year ban on the company staying there. That must have been a super-long Calendar notification somebody set back in 1983. Ah, Eric Schmidt—the wacky gift that just keeps on giving. Speaking at an AllThingsD mobile conference on Tuesday, the Google chairman said that the company would still like Apple to use its maps: “It would be easy for [Apple] to take the app in the store and put it as their basic one.” So easy, Apple. Come to the dark side!